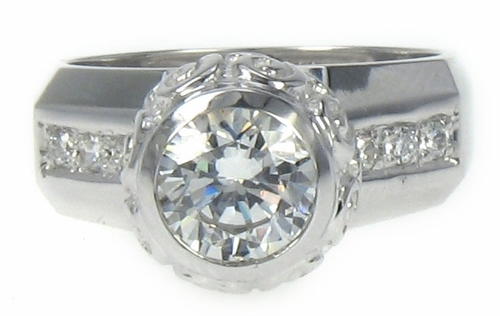 Our Sabra 1.25 Carat Bezel Set Round Cubic Zirconia Engraved Solitaire Ring features a mix of a curvaceous details. 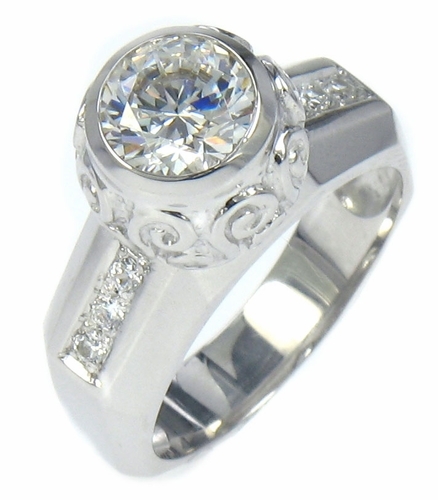 A sphere atop an octagon like band with a 1.25 carat 7mm bezel set round diamond look center stone. 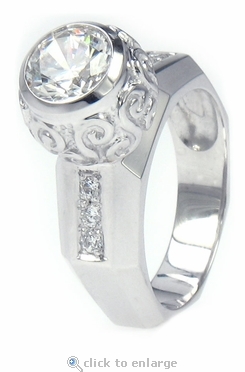 Fancy scroll style engraved detailing surround the sphere bezel that has a height of about 11mm off the finger. Well defined angles comprise the shape of the band and offset the subtle qualities of the sphere including three pave set rounds on each side of the shank. The shank has an approximate width of 7.5mm and the total carat weight is just under 1.5 carats of the finest diamond simulants. 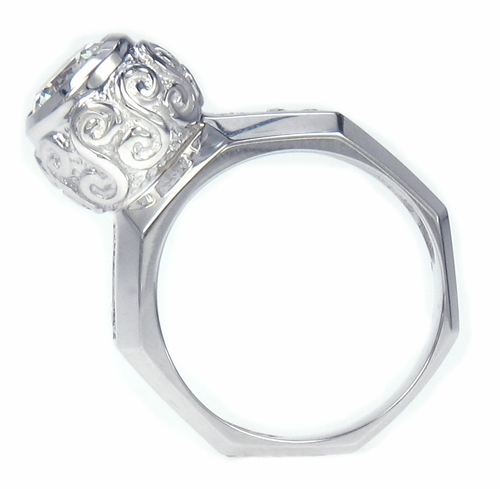 The original Russian formula cubic zirconia, that are in this ring, are hand cut and hand polished to exact diamond specifications. 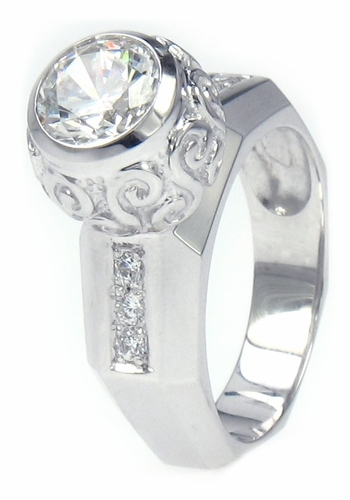 The Sabra ring would make a unique engagement ring and can be coupled with a anniversary band or eternity band of your choice to create a truly special wedding bridal set. This is a clearance item. Due to extremely low pricing, all clearance items are a final sale.